Comet ISON (C/2012 S1) is making its way toward the inner solar system before its closest approach to the Sun on November 28. During this trek, professional observatories are occasionally photographing it. 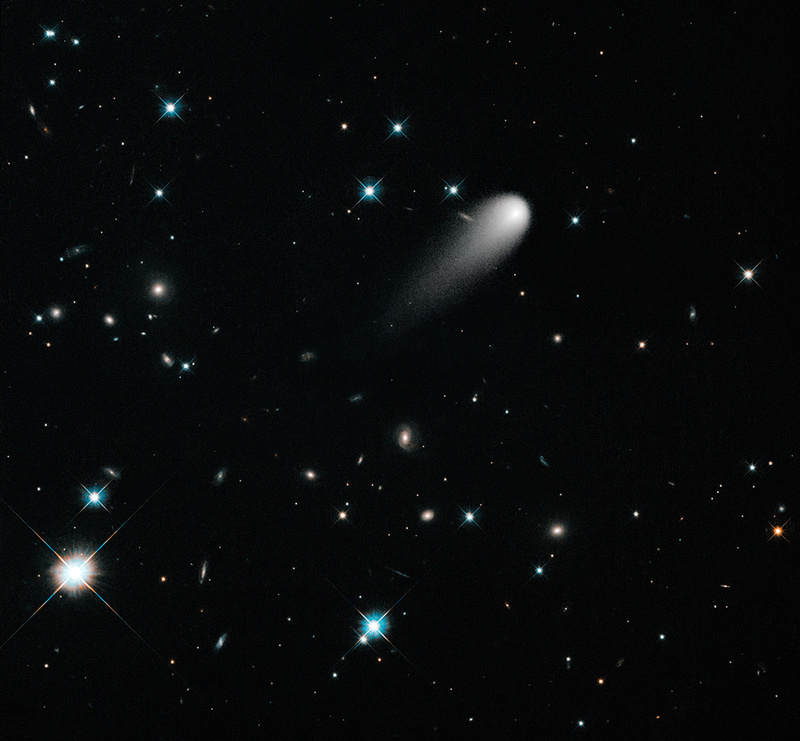 Researchers with the Hubble Space Telescope released a new image of Comet ISON on July 25. This composite includes photographs taken through two filters: three exposures through Hubble’s V-band filter (which transmits yellow/green light and was captured April 30 as Comet ISON was 363 million miles [584 million kilometers] from the Sun and 402 million miles [647 million km] from Earth; and two exposures through Hubble’s I-band filter (which transits red and near-infrared radiation). The result is a portrait juxtaposing the comet in our solar system and objects many thousands to millions of times as distant. Expect much more from Comet ISON in the months ahead, and find everything you need to know about what could be the comet of the century at www.Astronomy.com/ISON.